Reformation, Mission and Mercy | "Northern Crossings"
This Sunday at Zion English Lutheran Church in Grafton at 1100 Hill Ave there will be a Reformation, Mission and Mercy celebration. At 9:30 in the morning Rev. Don Fondow will be the preacher. There will be luncheon served and at 1pm Rev. 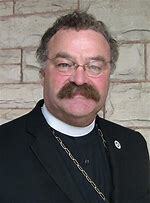 Matthew Harrison, President of the Lutheran Church Missouri Synod will be the preacher. This is a great opportunity to celebrate the Reformation and at 7pm we have the opportunity to attend a Reformation Hymn sing at Our Savior in Cavalier. inter-Lutheran social ministry organizations; Worked in consultation with LCMS partner/sister churches to build capacity during mercy outreach efforts; and Managed the church’s global pro-life efforts. International Center that helps revitalize communities and renew neighborhoods across the country. College in Sioux City, Iowa, in 1984. Following his graduation, he and his wife, Kathy, spent a year as missionaries in a remote Canadian Cree Indian village with the Lutheran Association of Missionaries and Pilots. Harrison earned a Master of Divinity in 1989 and a Master of Sacred Theology in 1991, both from Concordia Theological Seminary, Fort Wayne. He has pursued additional graduate study at Concordia Seminary, St. Louis. In 2011, he received two honorary doctorates: a Doctor of Laws from Concordia University, Ann Arbor, Mich., and a Doctor of Divinity from Concordia Theological Seminary, Fort Wayne. to fellow Christians and to anyone God places in their path. He compiled and translated At Home in the House of My Fathers, a collection of works by several of the church’s founders, and edited The Lonely Way: Selected Essays and Letters by Hermann Sasse, a prominent confessional Lutheran theologian in the German ecumenical movement of the early 20th century.